When you’re looking for the perfect gift to give that golfer on your list don’t overlook the many Myrtle Beach golf packages that we have available right here on our website. It’s a way to give a whole lot to any golf lover yet for a very reasonable price. We have some of the best Myrtle Beach golf courses right here that your gift recipient would love to play. We’re sure of it! Each year as the holidays approach, golfers everywhere hope and pray and drop a few hints that they may get the opportunity to play on the Myrtle Beach top golf courses that year. For some it’s a dream that comes true but, sadly, for others the message just didn’t get through. Believe us when we say, it will thrill and delight them to receive a gift certificate from Santa to come and play whenever they want on their golf course of choice! Sure, you could get them golf balls inscribed with their name or even a new monogrammed cart, maybe the latest technology on the market, too. But when it comes right down to it, any golfer will tell you, what they really want is to get out there on the gorgeous fairways we have and hit that ball with all they’ve got! At the end of the day, that’s what it’s all about. 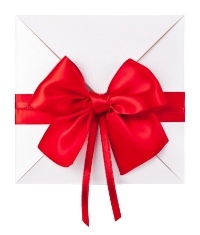 You can give that to them this Christmas with a gift certificate from us at MB Golf. Take a look at our course directory to find a course and at our golf package deals. Then spend as much or as little as you’d like because, either way, they’re going to love the gift you’ve chosen for them this year! Wishing all of you a very blessed and merry Christmas! This entry was posted in Myrtle Beach Golf Courses and tagged myrtle beach golf courses. Bookmark the permalink.